Powers: The ability to shape shift into any form--however, conservation of mass does apply, and if he stretches himself out too much he risks exposing his brain and nervous system. Personality: In his lucid moments, Alvin Wiesner is a kind man, if somewhat ambitious. However, he is rarely completely lucid. The rest of the time, he is confused and often angry, lashing out at almost any one. In this state, he lacks proper planning skills, and every action is a spur of the moment impulse. When he is not lucid, Wiesner is more like a beast than a man. Physical Description: Wiesner is about average height, with short hair--though, that's all subject to change as he feels fit to change it. However, at all times he is completely silver from head to foot, inside to out. History: As a normal human being, Wiesner was a young and idealistic lawyer. He had just finished his schooling when he joined up with the Kingsley&Madison lawfirm. He and a few more senior lawyers had been sent to conference with one of their clients, a scientific ressearch company. During the course of this conference, the lawyers were given a tour of their ressearch facility, and were shown a substance that the scientists called Living Quicksilver--a mercury-based compound that responded to electrical signals--which they hoped to market as a sort of military-grade defensive compound. 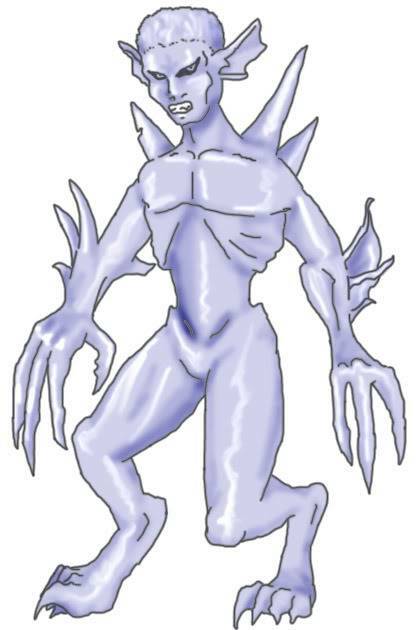 After getting seperated from the group, Wiesner accidentally touched the Living Quicksilver, which led the substance to dvour him, until all that was left was his central nervous system. Because the compound responded to electrical signals, he was able to control its shape. However, the substance poisoned his brain, making it hard for him to think coherently most of the time. Misc. Notes: The Mercury Man is vulnerable to extreme temperatures. In extreme heat, he can be partially evaporated, and in extreme cold he loses much of his shifting abilities.